You should spend your winter holidays in style. Decorate your home with festive lights, turn on the radio station on the all-holiday programs and buy something from a holiday craft fair. Your mood will lift up as soon as you do these things because you need stimulation to get into the holiday spirits. You will feel great if you wear something red and dress fancy. Bake a pie and cinnamon rolls, or buy them if you are too busy to bake, and enjoy your sweets with your coffee or hot chocolate in the cold mornings of the winter. The explosion of tasty flavors in your mouth will remind you that this is a time to enjoy the little pleasures of life and to be grateful for the everything you have. You are a Yang zodiac sign, you love exploring and searching for new ideas and new things. You should shop in the after-Christmas sales, online in your pajamas, or go out with friends to a shopping spree. Try saving for holidays some weeks ahead, so you will have money to spend without maxing out your credit cards. Winter holidays are perfect to strengthen the emotional bond you have with your loved ones. Leo, Aries and Sagittarius are Fire zodiac sign natives. In front of a fireplace, while watching the flames burning, you might become deeply romantic and declare your love to the special person in your life. A perfect winter holiday for you is filled with kisses and sweets: indulge yourself! How do you like to spend your winter holidays? 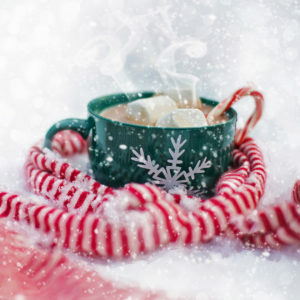 What is your favorite winter beverage? Do you like shopping for gifts? Do you decorate your home for the winter holidays? Leave a comment in the comment section of the main article and let us know! Back to the main article: How should you spend your winter holidays?